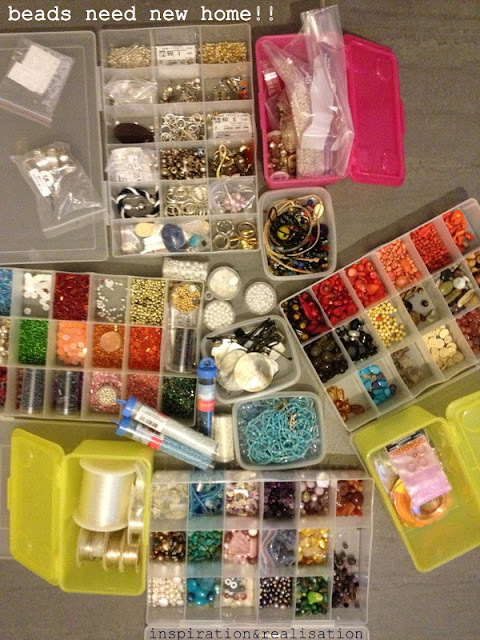 While I was moving I showed you how I was organizing all my beads and findings, remember? Anyway... That was working before, since all these boxes were inside a cabinet. A bit of a pain, every time I was looking for something specific, everything was getting out and about. Well... Now I changed it and it's much MUCH better! 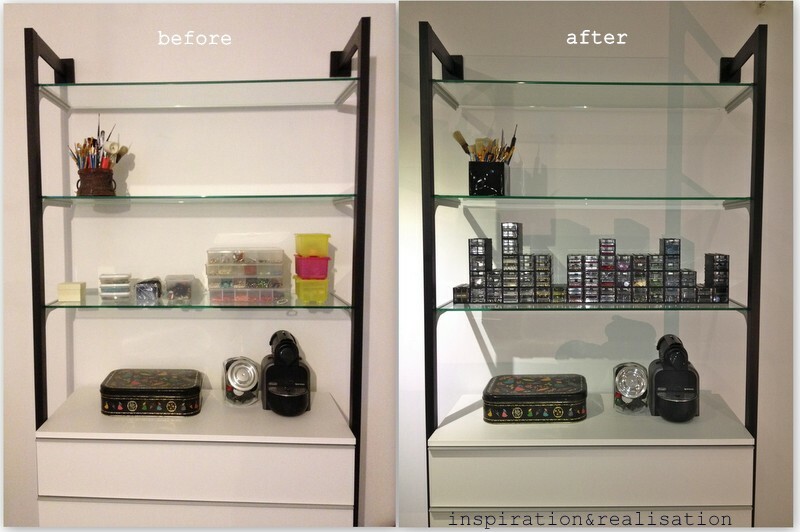 Here it is: my new and improved storage for beads and findings! Love the fact that looks like a city skyline! I'm saying goodbye to all these random boxes and give all these pretty beads and findings a new and improved home! before I had semi-precious beads in one box and sequins and beads in the others. But I believe that organizing by color will be easier and neater. I think there are some of those in the basement....I need to search them out! That is the perfect way to sort! I'm trying to see if i can find these in the states, what is the actual name of them please!!!! Hi Nancy, these are FERVI (http://www.ebay.it/itm/CASSETTA-CASSETTIERA-IN-PLASTICA-PORTA-MINUTERIA-16-CASSETTI-FERVI-Art-C085-16-/330673337911?pt=Utensili_manuali&hash=item4cfdaab637#ht_2738wt_911) and I don't know if the same brand is available in the States, Homedepot has something similar(but I don't know if each any drawer is detachable) (http://www.homedepot.com/Tools-Hardware-Tool-Storage-Organizers/h_d1/N-5yc1vZc28p/R-100023878/h_d2/ProductDisplay?catalogId=10053&langId=-1&storeId=10051#.UGlQrrTQ_go) !